Day Zero: dam levels drop below safe limits and the city's water supply is cut off. It sounds like an apocalyptic nightmare, but for residents of Cape Town in South Africa it's fast becoming a reality. For drought-prone countries like Australia, it's not unforeseeable either. New advances in desalination, however, are offering alternative solutions for water security and for mining valuable scarce minerals. Fresh water is a necessity for life. It's easy to think water will always be plentiful as it covers 70 per cent of our planet. Yet, accessing potable water is a challenge for many. By 2025, the United Nations expects 1.8 billion people will encounter water scarcity. This is because only three per cent of the world's water is fresh water and severe drought is affecting many countries. 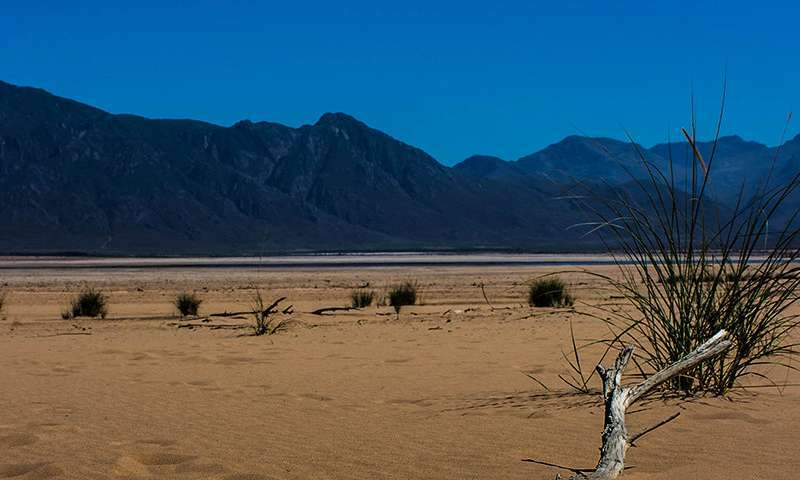 The impending water crisis in Cape Town has been caused by three years of low rainfall, coupled with the increasing consumption of a growing population. 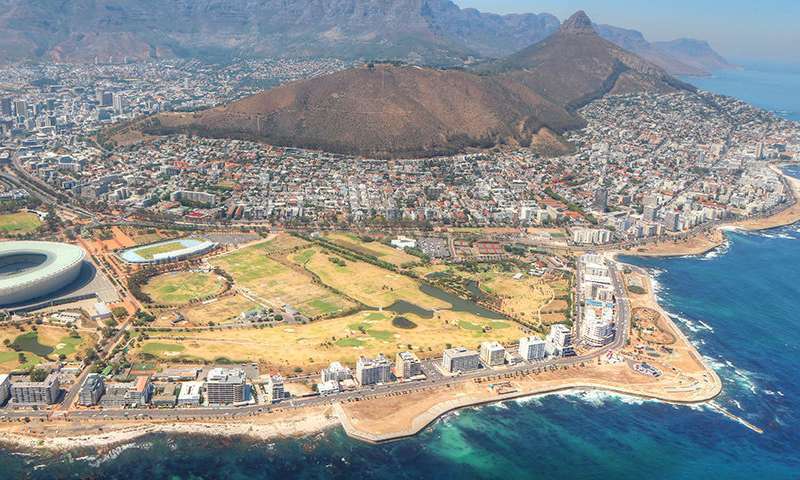 Cape Town could become the first major city in modern history to run out of water. Desalination is increasingly seen as a key solution to water scarcity, especially in dry continents such as Australia. Desalination involves removing salts and other dissolved minerals from seawater or brackish water (that's water which isn't fresh, but isn't quite as salty as seawater either). Presently, reverse osmosis and thermal processes are the most commonly used desalination techniques. Although they're highly matured and have evolved in performance over the years, they have not yet attained elusive sustainability goals. Why? Both are energy demanding, require expensive construction material, are chemically intensive, limited by membrane fouling and corrosion, and produce concentrated waste streams. The adverse environmental impact of concentrated waste stream (brine) discharge is of high concern. That's because disposal of the concentrated brine waste on land results in long-term susceptibility to pollution of surface and groundwater resources. The alternative, discharging the waste brine (which is high in salt and other chemicals) back into the sea requires extensive dilution and the installation of hundreds of metres of offshore submarine pipelines to mitigate any adverse effects on aquatic organisms. Desalination by freezing, however, is motivated by natural seawater phenomenon: ice made from salt water is salt free. The inherent advantages of freeze desalination is that it's low cost, relatively simple and chemical free. However, separating ice from salt solution to obtain salt-free water remains a challenge. My research is currently focused on finding a suitable fluid that efficiently separates ice and salt water based on liquid gravity. This will enable fresh water production from ice. Invariably, the high freezing energy requirement of freeze desalination, from -8 degrees Celsius to -15 degrees Celsius is a major limitation. A viable option here is to obtain 'free energy' from liquified natural gas (LNG) vaporisation facilities. This is especially relevant in the Australian context due to the substantial growth of LNG production. Natural gas is converted into LNG by compression and cooling at between -160 degrees Celsius and -200 degrees Celsius. Freeze desalination could be coupled to the LNG refrigerant coolant source, given that the majority of LNG plants are located on the coast. Linking of plants would benefit many countries that simultaneously import LNG and suffer from water scarcity. As water scarcity bites, the drive to conserve natural resources is also increasing. The focus on 'mining' valuable resources from seawater and its brine waste streams is especially sharpening. Seawater contains almost all chemical elements present in the periodic table, starting from the most abundant such as sodium, magnesium, calcium, sulphate and potassium to valuable elements at low concentration such as strontium, lithium, uranium and rubidium. According to Australia's Mineral Resource Assessment in 2013, strontium, magnesium, and lithium are in relatively high critical risk. Strontium has recycling rates of less than 10 per cent and is used in the ceramics, glass and pyrotechnics industries, ceramic ferrite magnets, fireworks, phosphorescent pigments, fluorescent lights, and in the oil and gas industry as drilling mud. The major uses of magnesium include aluminum, steel, chemical and construction materials, and fertiliser. Knowing the presence of these elements in seawater is one thing; recovering them is quite another. The economically useful elements in seawater are generally present in relatively low concentrations. For example, the economically valuable rubidium is priced as high as $12,505 per kilogram, but is only present in low concentrations of 0.2 to 0.3 milligrams per litre. The high economic value of rubidium is attributed to its application in new technology fields of fibre optic telecommunication systems, semiconductors, fabrication of monolithic lasers, gas absorbers in vacuum tubes, and for various medical examinations. That's why my research in Australia with my supervisor, Director of the School of Civil and Environmental Engineering Saravanamuth Vigneswaran, has also been dedicated towards the extraction of rubidium from seawater brine. I'm looking at how we could use integrated membrane processes and selective novel ion exchange absorbents to simultaneously produce fresh water and extract rubidium. The recovery of valuable rubidium would not only help industry, it could also potentially offset seawater desalination operating costs and its related brine management. It will also, hopefully, make it easier for government and industry to see that sustainability really is everybody's business. Hopefully some method for excluding the high amounts of plastic nanoparticles and nanofibers in sea water is already feasible using these methods, otherwise the people ingesting this water will be ingesting quantities of plastic and along with it the associated chemical and microbial hitchhikers known to latch on in solution. Or, the more expensive reverse osmosis methods could be used on drinking supplies while the newer and hopefully more affordable techniques could be used for bathing and irrigation needs though such dry areas need to move towards an aesthetic that appreciates xeriscaping and native plants as opposed to lush grasses and other high water-need plantings, and we still don't know the cumulative effects of large amounts of plastic on either the various microbiomes in soils and bodies of water or the larger forms of flora and fauna that depend, in many ways we know and have not yet discovered as well, on them in return.